These stylish pink roll bags from hed-case are absolutely perfect for storing your hair straighteners and all your hair and beauty products safely and neatly! 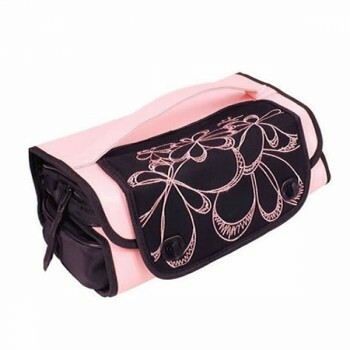 Every pink roll bag with pink stitching and metal clasps, features three zip up compartments, each one being big enough to hold a pair of straighteners or various brushes and wet line styling products. You never need to worry about where you left any of those hair and beauty products now, they will all be safely in one place. These roll bags are also perfect for travelling and taking on your holidays!